Mission: MOSERS exists to advance the financial security of its members and endeavors to: exceed customer expectations, educate stakeholders, ensure sound investment practices, and encourage responsible funding of the plans, all through a commitment to excellence always. 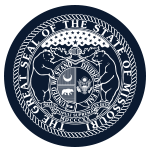 Function: The Missouri State Public Employees' Retirement System Board of Trustees is responsible for the general administration and proper operation of the system, which administers retirement, life insurance, and long-term disability benefits for most state employees. Subject to the limitations of the law, the board shall formulate and adopt rules and regulations for the governance of its own proceedings and for the administration of the system. The board shall have exclusive jurisdiction and control over the funds and property of the system and may employ and fix the compensation of necessary employees. The board is also responsible for the administration and oversight of the State of Missouri Deferred Compensation Program effective August 28, 2007, and the College and University Retirement Plan (CURP).